Many of you know Donna May’s story well. You may have met her when she first opened up about the tragic and brave legacy left behind by her daughter, Jac. Some have been introduced to her through her writings and others are perhaps only just making her acquaintance. When I spoke with Donna over the Victoria Day weekend I was honestly impressed by her resiliency over the past two years. I first connected with Donna back in 2013 when she was still months away from the first anniversary of Jac’s passing. She was a mother still freshly grieving the loss of her only daughter. Early on Donna sensed that something wasn’t quite ‘right’ with Jac. As a young mother she sought support for her little girl from the medical community to no avail. 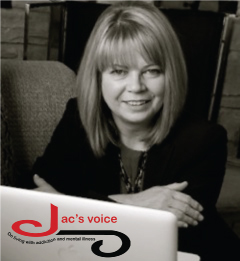 Jac, in her early teens, turned to illicit drug use to self-medicate as a way to cope with an undiagnosed personality disorder. It was a stigmatized lifestyle that led to addiction, marginalization by society, loss of her children, inclinations towards crime including violence and eventually her death from blood infections contracted through the use of dirty needles. 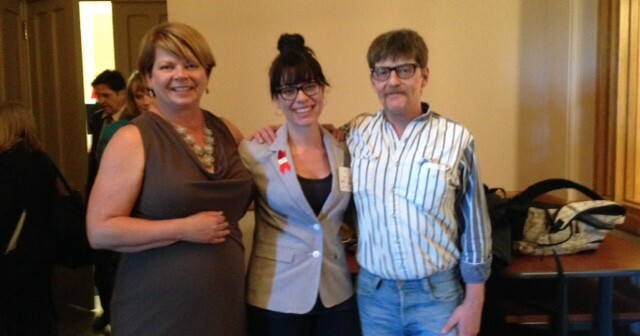 Before Jac died, Donna promised her daughter that she would be her living voice. Donna has dedicated the years following her daughter’s death, to advocate for the humane treatment of all people who courageously live with mental illness and addiction. Last week, Donna presented her witness statement to Senate regarding Bill C-2 which carries amendments proposed to the Controlled Drugs and Substances Act (CDSA). Bill C-2, Respect For Communities Act, would amend the CDSA “to create a separate exemption regime for activities involving the use of a controlled substance or precursor obtained in an unauthorized manner, specify the purposes for which an exemption may be granted for those activities, and detail information that must be submitted with an application to the Health Minister for an exemption in relation to a ‘supervised consumption site’.” The term ‘safe injection site’ is often applied in this regard. In Donna’s opinion, the Feds have “pulled a fast one”. 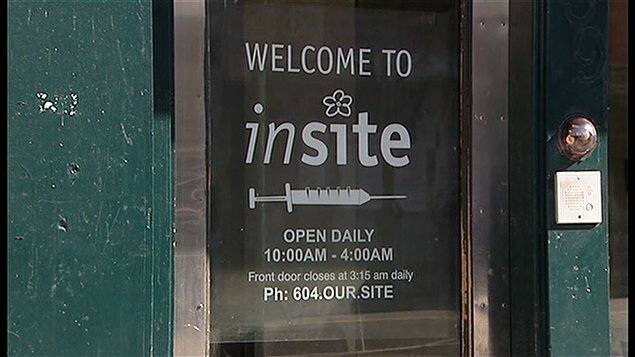 Previous controversy around safe injection sites in Canada has been focused on Vancouver’s safe injection site- Insite. According to their website, Insite is North America’s first [and only]legal supervised injection site. Since opening its doors in 2003, Insite has been a safe, health-focused place where people inject drugs and connect to health care services – from primary care to treat disease and infection, to addiction counselling and treatment, to housing and community supports. Insite operates on a harm-reduction model, which means it strives to decrease the adverse health, social and economic consequences of drug use without requiring abstinence from drug use. Just 12 years later forty peer-reviewed scientific papers have documented Insite’s effectiveness in saving lives. According to a CBC Sudbury report, opioid-related deaths per population of 100,000 people, rates were highest in Thunder Bay, Sudbury, Manitoulin, Algoma and Nipissing regions. In 2007 a 2-year study was carried out in downtown Montreal. Findings indicated that illicit prescription opioid use was widespread among street-based participants. Injection was the main mode of prescription opioid administration among users. It is estimated that 4.1 million Canadians have injected drugs at some point in their life. According to a study in Toronto, 54% of people who inject drugs injected in a public place such as a washroom or stairwell, and 46% injected on the street or in an alley in the six months prior to being interviewed. 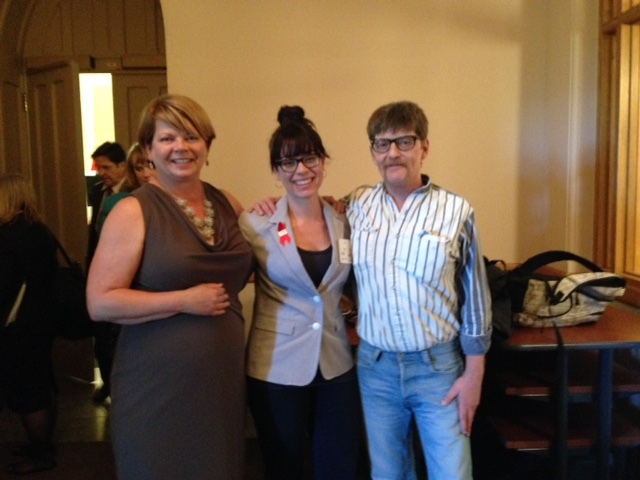 Insite clients in Vancouver are 70% less likely to share needles than those who do not use the facility. Insite may have prevented as many as 48 overdose deaths over a four-year period. A 2006 report on the possible increase of crime in neighbourhoods hosting supervised injection sites concludes that there is not any risk to elevated illegal activity- drug related or otherwise. Furthermore, as Donna explained, those who are in favour of the withdrawal of Bill C-2 are suggesting that safe injection sites could be hosted in centres where supportive services for people experiencing addiction already exist. Insite was threatened with closure when the Minister of Health refused to renew the exemption which allowed the facility to operate under section 56 of the CDSA. An eventual appeal to the Supreme Court of Canada found that the Minister’s exercise of discretion had in fact violated the health and lives of the claimants and others like them, allowing Insite to continue operations. While Bill C-2 legitimizes the status of safe injection sites, the 27 criteria points that must be met with the application for exemption, under section 56 of the CDSA that would allow sites to operate legally, are so arduous that conditions are next to impossible to meet and hinder the establishment of new safe injection sites. Further, next year when Bill C-2 comes into force, the conditions will make it difficult for Canada’s only safe injection site to receive another exemption. The list of conditions is so lengthy that it ran out of letters in the alphabet to itemize requirements as addendum to the application for exemption. Conditions from ‘a’ to ‘z.1’ are found in Bill C-2 in the section entitled Information to Accompany Application. The grocery lists of ‘musts’ isn’t only lengthy. Critics of the Bill assert that the conditions aren’t only rigorous but are designed to obstruct safe injection sites. Among the plentiful requirements of the Bill, applicants are required to: present scientific evidence of the medical and health benefits of safe injection sites. Four years ago the Supreme Court issued a ruling that based on scientific research supervised consumptions sites were “evidenced-based” and “life-saving” health interventions; Run a police check on all staff members which sounds fair enough but often individuals best qualified to work in the field of harm reduction are those with a history of drug use and therefore an accompanying criminal record or past; And facilitate in-depth consultations with professional physicians, nurse associations and an extended gamut of community groups that far exceeds the budget and human capacity of any small community agency likely to implement a safe injection site. And further to this final point, supervised injection sites have already won the public support of numerous health and wellness entities. In Canada, the implementation of supervised consumption services is supported by numerous health experts and agencies, including: the Canadian Medical Association; the Canadian Nurses Association; the Canadian Association of Nurses in aids Care; the Registered Nurses’ Association of Ontario; l’Ordre des infirmières et infirmiers du Québec; the Canadian Public Health Association; the Health Officers Council of British Columbia; the Urban Public Health Network; Public Health Physicians of Canada; the Toronto Board of Health; the Toronto Chief Medical Officer of Health; Vancouver Coastal Health; l’Institut national de santé publique du Québec; the Expert Advisory Committee on Supervised Injection Site Research, established by the federal Minister of Health; Médecins du Monde Canada; Association des médecins spécialistes en santé communautaire du Québec; and l’Association des intervenants en toxicomanie du Québec. A report created by the Canadian HIV/Aids Legal Network and the Canadian Drug Policy Coalition, clarifies that Bill C-2 “creates a much more restrictive exemption regime specifically designed for supervised consumption services. Under the new regime, exemptions can only be granted for medical purposes and in ‘exceptional circumstances’.” Insite was originally granted exemption for scientific purposes. Bill C-2 has already passed the third reading in the House of Commons. It is now before the Senate standing committee for review and possible recommendation for amendments. Over the past two years Donna has been called to local, provincial, national and international platforms to share the knowledge she painfully came into through the loss of her daughter. Moreover, Donna has invested huge amounts of time to researching harm reduction strategies and best practices that are implemented globally. Over the next year she will fulfill numerous speaking engagements nationally and will also present at the International Drug Policy Conference in Washington this November. Next spring Donna will be among a panel of speakers presenting at the United Nations General Assembly on the World Drug Problem. The panel is comprised of mothers from around the world who have lost children due to incorrect drug policy.